A new partnership with the Australian export credit agency will help wine producers access export finance and boost opportunities abroad. Wine Australia, the industry body based in the heart of Australia’s vinelands, Adelaide, has inked an agreement with the Export Finance and Insurance Corporation (EFIC) which it hopes will boost exporters’ working capital cycles and open new markets. Chief executive Andreas Clark tells GTR that the agreement will be in part educational, with EFIC sharing information on how to gain access to export finance in an increasingly competitive industry. Local media has reported on specific instances in which Australian producers have failed to meet export contracts due to tightening credit conditions. Gemtree Wines in South Australia was unable to fulfil an A$3mn export contract to the US due to a lack of finance. The company is now to partner with EFIC in selling to supermarkets abroad. The timing is key: Australia has entered or is negotiating a number of free trade agreements with key wine-consuming markets. 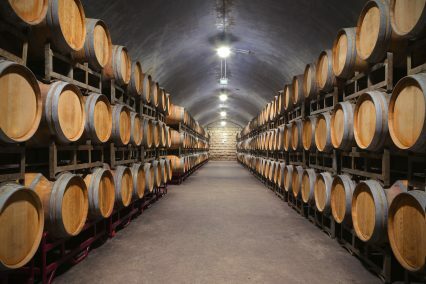 After signing a deal with Japan, a 15% import tariff will be eliminated over seven years, with the tariff on bulk wine being immediately dispensed with. This led to a 388% increase in bulk wine exports to Japan in the 12 months to October. The FTA with South Korea has boosted wine exports by 16%, and even before the ratification of the China Australia Free Trade Agreement, which will phase out tariffs over four years, exports of wine to the country have grown by 47% in the past year.